Auto One carries one of the largest selections of trailer hitches in Michigan. If you are looking for light or heavy duty towing capabilities, Auto One has you hitched up fast. 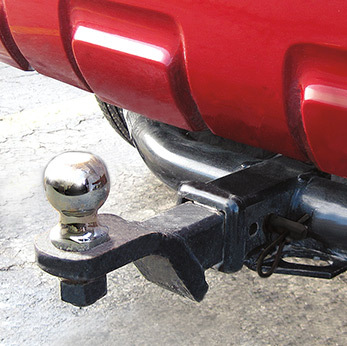 Review the differences between trailer hitch sizes. These hitches are designed for light loads on small to medium sized vehicles. Designed for medium loads on small to large sized vehicles. Class III hitches are weight carrying (WC) and also are weight distributing (WD) hitches depending on the vehicle and hitch specifications. 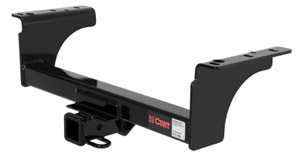 Class III hitches used for weight carrying are rated up to 5000 lbs. gross trailer weight (GTW) with a maximum trailer tongue weight (TW) of 500 lbs. Hitches that are used for weight distributing are rated up to 10,000 lbs. gross trailer weight (GTW) with a maximum trailer tongue weight (TW) of 1000 lbs. These hitches are very similar to Class III hitches except for the weight ratings. Weight carrying hitches are rated up to 12,000 lbs. gross trailer weight (GTW) with a maximum trailer tongue weight (TW) of 1200 lbs. 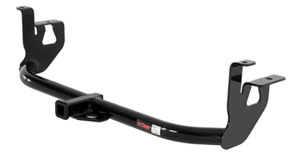 Weight distributing hitches are rated up to 15,000 lbs. gross trailer weight (GTW) with a maximum trailer tongue weight (TW) of 1500 lbs. These heavy-duty trailer hitches vary by the weight ratings. Hitch uses a 2-1/2" receiver. Class V hitches are weight carrying (WC) and weight distributing (WD) hitches. Weight carrying hitches are rated up to 13,000 lbs. gross trailer weight (GTW) with a maximum trailer tongue weight (TW) of 1300 lbs. Weight distributing hitches are rated up to 17,000 lbs. gross trailer weight (GTW) with a maximum trailer tongue weight (TW) of 1700 lbs.